Concrete and Stone: The look of Chenille in Grey Stone and Brown Sugar colors are similar to the tones and variations found in natural stone and rock, though much softer and more supple in hand. Roman: When I think of the way Roman leaders dressed, rich gold tones come to mind. 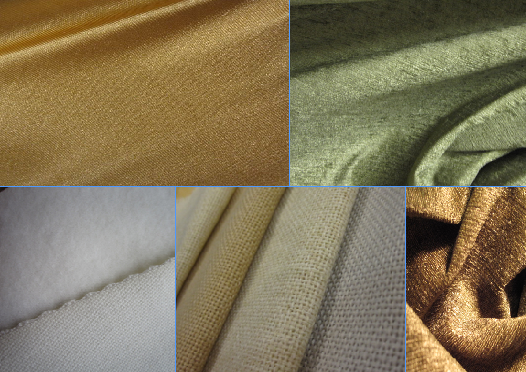 #499 Spandex in gold has a lustrous finish and nice drape. 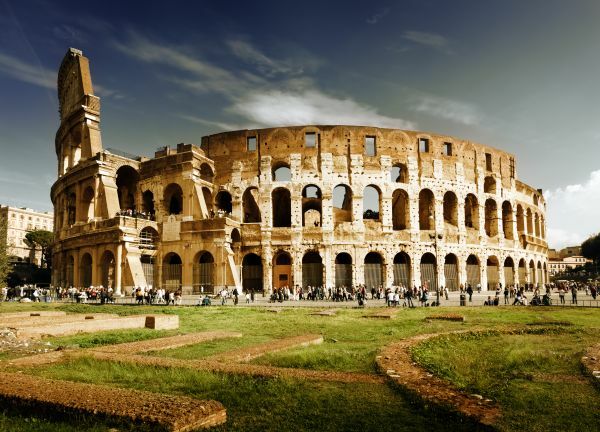 Year 0080.: In 80 a.d. when the Colosseum was completed, natural fibers were paramount in clothing including 100% natural fibers; flax, cotton, wool, silk, and linen. 54” Commando Cloth, a variation on Duvetyn, is a medium-heavy weight woven material from 100% cotton with a brushed face. Rugged, natural: Poly Burlap speaks to both the rugged condition of the Colosseum today and the natural feel of the elements used to construct it. Poly Burlap is a great example of how modern manufacturing has improved characteristics of material while still keeping the historic look, as it is made from 100% post-consumer recycled fibers with strong fire retarancy.